Waltons – the richest family in the world. The Walton family is the founder of the world’s biggest retailer, Wal-Mart. The company has more than8, 970 stores all across the world. The Walton family is the richest family in the world. Walton’s own over 50% of the company and is a worth total of $152 billion. Walton’s family is referred as the vast wealth as they have the highest income in the United States. 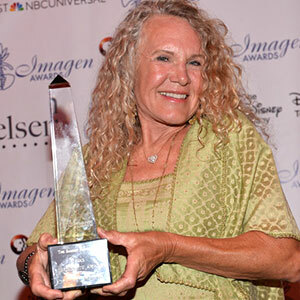 Christy Walton, the celebrated daughter in law of the Walton s family stands as a fine example of woman with ambition and vision. She is a popular celebrity in the social circles of the rich and famous in the United States. She stands as a perfect example of a daughter in law of Walton family. She is ranked as the highest female philanthropist, known to donate massive percentage of her earnings to charity. Christy is the widow of John Walton. After the death of her husband, she inherited his fortune of US$18.2 billion. She is the 6th richest woman in the world and the 10th richest person in the world, according to Forbes. In November 2013, she was listed as the 9th richest person in the world. She resides in Jackson, Wyoming with her son Lukas. Christy was profiled by the Conde Portfolio magazine in The Giving Index. She is at the highest position under the female philanthropist. She is actively serving and non-profit organizations. Some of them are for trustees and staff, corporate giving officers. Walton donated her own old Victorian home to the International Community Foundation. Apart from Philanthropy, Christy loves to spend time with her family. She resides in the picturesque Jackson’s Hole. The home is a fully furnished and incorporates traditional alpine-style with details of Europe. The home is covered with stone pavers, 200-year old oak floors, cathedral ceilings and hand crafted windows. John Walton was a war veteran in the United States and one of the sons of Sam Walton, founder of Walmart. He died in the year 2005 in a plane crash. He also cofounded the Children’s Scholarship Fund for providing tuition scholarships for disadvantage youth. Lukas is the only son of John and Christy Walton. Lukas did his schooling from Journeys School in the year 2005. He did his Bachelor’s degree in Environmentally Sustainable Business from Colorado College in 2010. Lukas is a partner at Cuna Del Mar, a private equity firm focused on aquaculture. And earlier, he was an intern at True North Venture Partners. It is the venture capital firm founded by his father, John Walton. 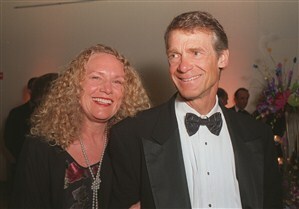 Walton family net worth currently stands at $144.7 Billion. They are the richest family in the World.